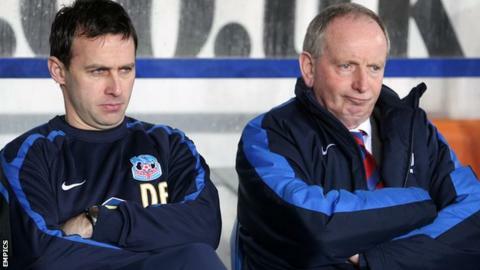 Dougie Freedman says Lennie Lawrence will be "one of the best signings Bolton will make" after Lawrence was appointed as his assistant. The pair link up again following a successful spell at Crystal Palace. "I'm the driver of this ship," said Freedman. "I will drive it through commitment, effort, desire and honesty. Lennie Lawrence will steer it. "He's managed over 1,000 games, he's won promotions and managed at the top level. He's a very experienced man." The 38-year-old Scot told BBC Radio Manchester: "He will help this club tremendously, on and off the field, hence the reason I tried to get him here. "It will be, I believe, one of the best signings Bolton Wanderers will make this season." Lawrence, 64, was placed in caretaker charge of Palace following Freedman's departure and took four points from his two matches at the helm. But he said he on a permanent basis because of his loyalty to Freedman. The new Trotters manager revealed earlier this week that by their Championship rivals. Fleming has now taken temporary control of first-team affairs at Selhurst Park and will be assisted by development coach Jamie Fullarton and captain Paddy McCarthy. Former Charlton, Middlesbrough and Cardiff manager Lawrence became Freedman's number two soon after the former Scotland international striker was appointed by Palace in January 2011. Together, they guided Palace to Championship survival in their first few months in charge and then took the club to a League Cup semi-final last season. Freedman's first match as Bolton manager is against league leaders Cardiff at the Reebok Stadium on Saturday.